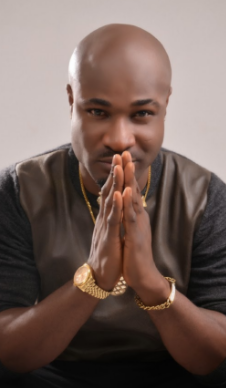 Nigerian pop star Harrysong became a father when he had a set of twins with his partner who is said to be based i Abuja. The babies were set to have been welcomed into the world in a Beverley Hills based hospital in the USA in May 2017. The twins who are a boy and girl have since been named PEREZ and TARELA respectively. Nigerian stars having babies outside wedlock.Some of the stars who have done this includes May D,Davido,Wizkid,2face Idibia,Omawunmi,Waje,Wande Cole and many more. Harrysong and his babymama have since quietly named the baby boy 'Perez' while the baby girl was christened 'Tarela'.